This is a beautiful book for snuggling up with on a wintery day. 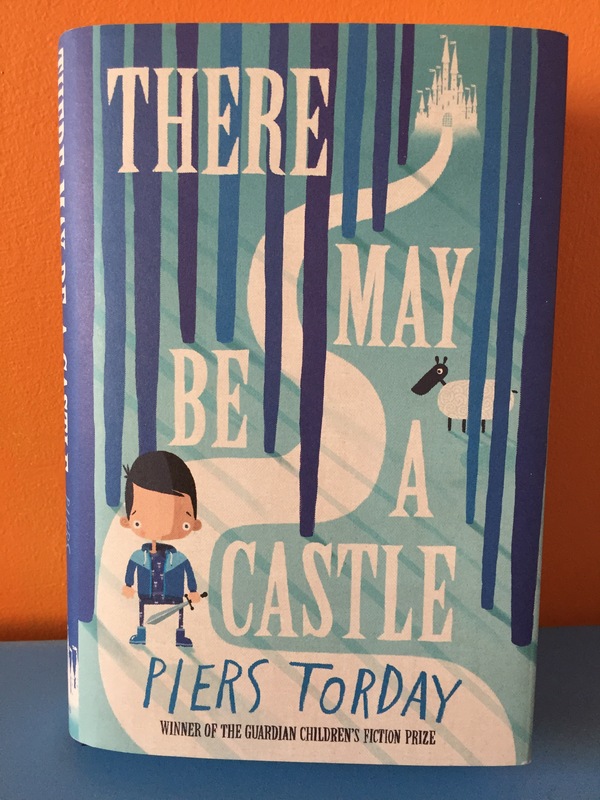 A wonderful celebration of the power of imagination and storytelling, There May be a Castle by Piers Torday is warm and funny and has the feel of an old friend and a future classic. ‘Eleven-year-old Mouse is travelling to see his grandparents on Christmas Eve with his mother and two sisters. But it’s snowing, and visibility is bad, and the car goes off the road, and crashes. Mouse is thrown from the car. When he wakes, he’s not in his world any more. He meets a sheep named Bar, who can only say Baaa, and a sarcastic horse named Nonky, who is a surprising mix of his beloved toy horse and his older sister. I particularly enjoyed the mix of humour and nods to the crazy political world we live in where education has become all about endless testing and form-filling. I also want to raise a glass to the design – it’s just beautiful. Bravo to Rob Biddulph and Nicola Theobald. One word of warning; there is a small section near the beginning of the book that mentions the non-existence of a certain festive someone. Possibly not the best book to give to a newly-doubting child. But, saying that, probably a helpful book for those newly-knowing. This is a book I will pull out again and again at this time of year and I fully expect it to become a firm favourite in many homes.